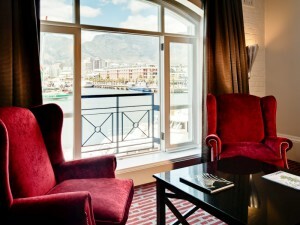 After arriving at Cape Town International Airport you’ll be met & transferred to the V&A Waterfront. 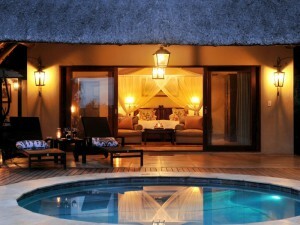 Check in at the Victoria & Alfred Hotel for 3 nights on a bed & breakfast basis. 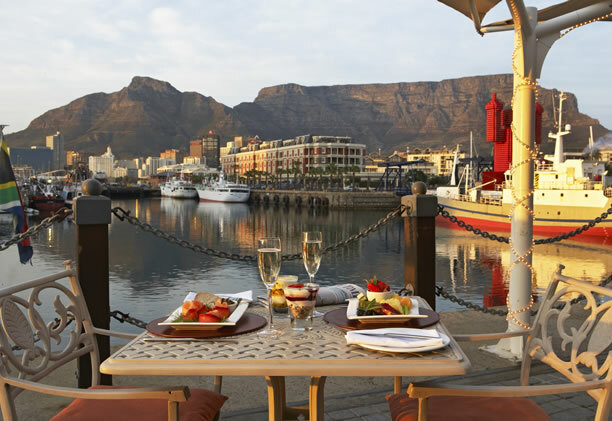 Mixing stunning scenery and fine food with landscaped gardens, sizzling summer beaches and flat-topped Table Mountain, Africa’s favourite city opens this comprehensive tour. 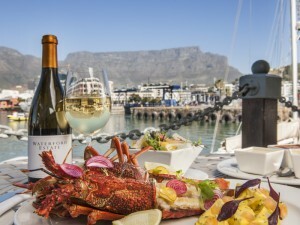 Cape Town is gaining an international reputation as a holiday classic, and no wonder. 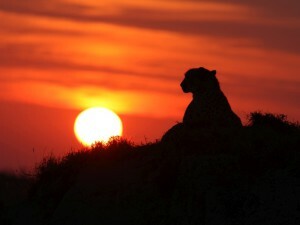 Depending on the season, you can go hiking, biking, shark-cage diving, whale watching and swimming with seals. There’s wine tasting in and around the city, a charming penguin colony, wild ocean views and plenty of restaurants and attractions enough to keep everyone happy. You’ll have a comfortable and convenient base at the Victoria & Alfred Hotel, set right at the heart of the V&A Waterfront, Cape Town’s friendly entertainment and shopping complex. You can eat and socialise nearby and staff will be happy to make any taxi or dining reservations for you. 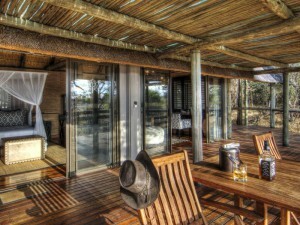 Transfer to Cape Town Airport & a scheduled flight to Nelspruit near the Kruger Park. 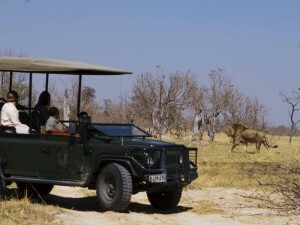 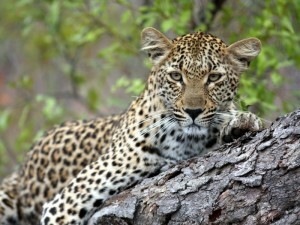 Road transfer to Savanna Lodge in the Sabi Sands Private Reserve for 3 nights on a full board basis. 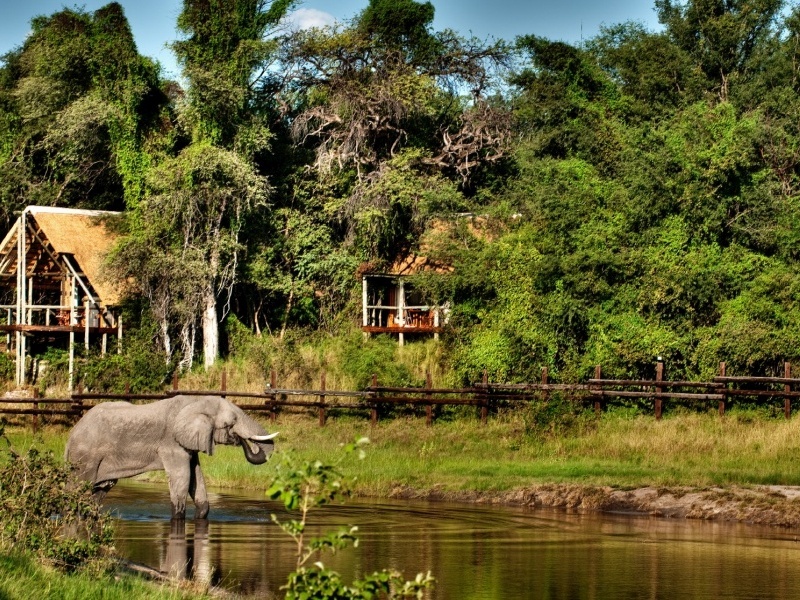 Landing at Nelspruit Airport, you’ll be met and transferred to the Sabi Sands Private Reserve and Savanna Lodge. 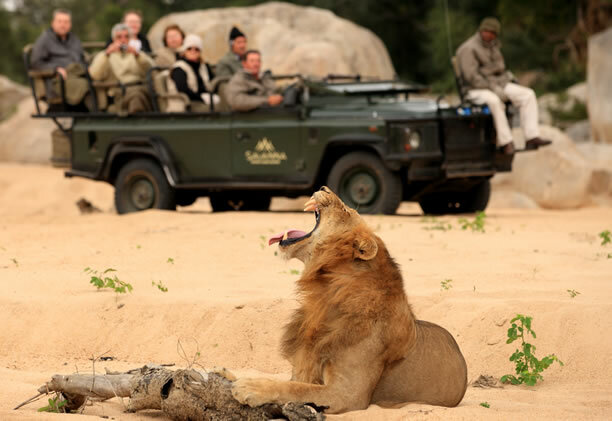 Set next to the Kruger, the Sabi Sands Reserve is arguably Africa’s best Big 5 destination – you may even see lion, leopard, elephant, buffalo and rhino in a single game drive. 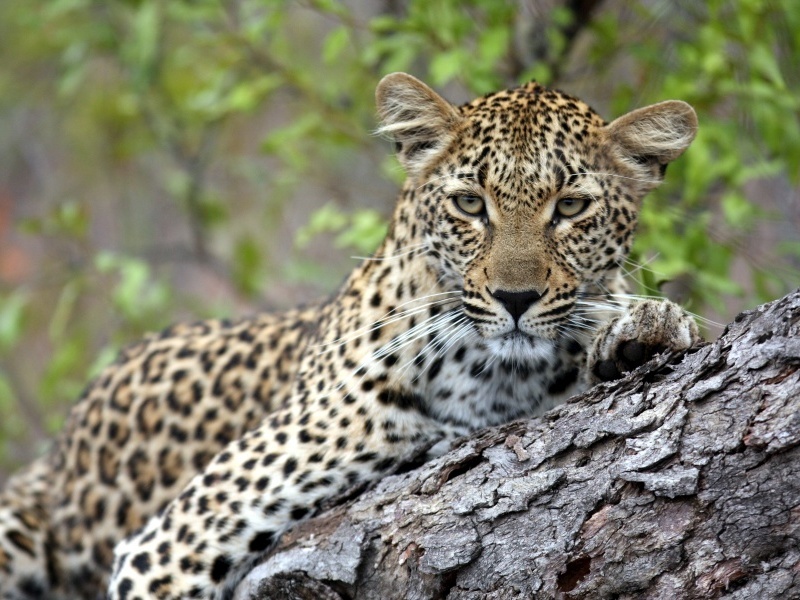 Spot-lit night drives pick out rarely-seen nocturnal animals while guided walks allow you to see the Sabi’s details close up. 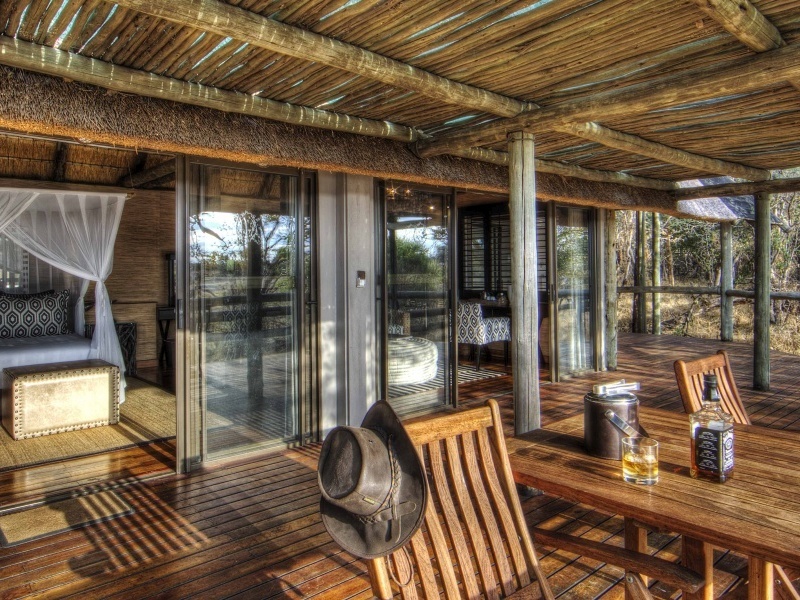 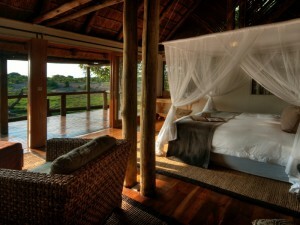 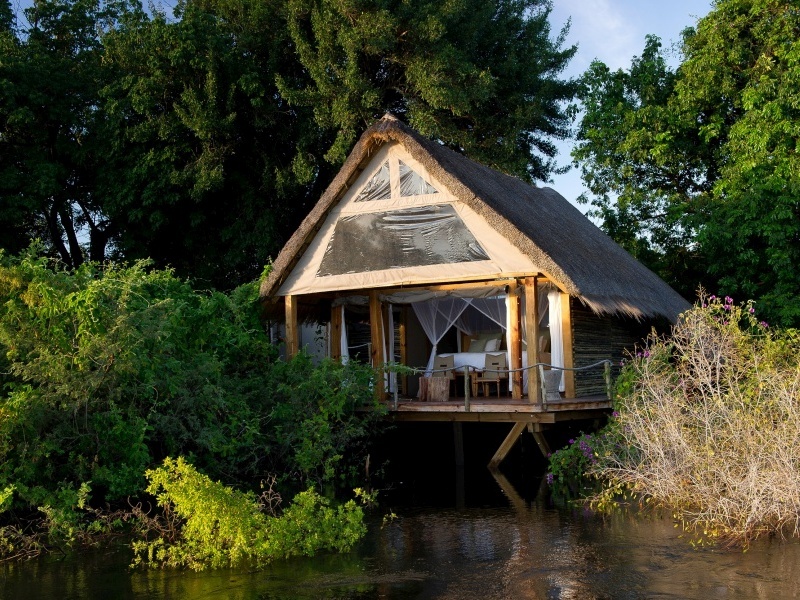 Beautiful ‘Out of Africa’ tented suites with private bathrooms provide the accommodation. 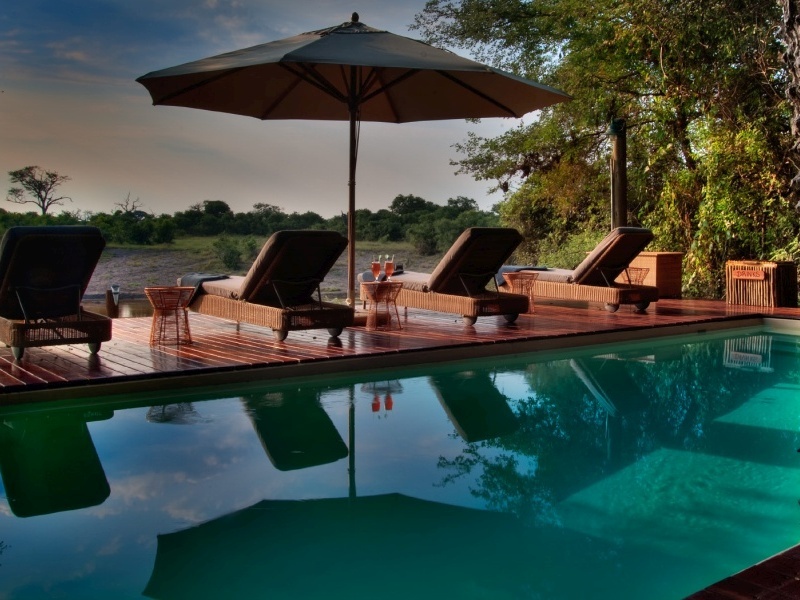 Transfer to Nelspruit Airport & a scheduled flight to Livingstone in Zambia. 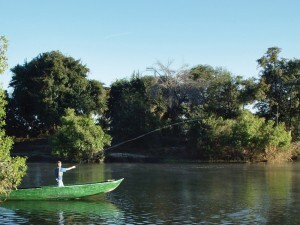 Transfer by road to Sindabezi Island Camp on the Zambezi River, a few miles upstream from Victoria Falls. Enjoy 2 nights on a full board basis. 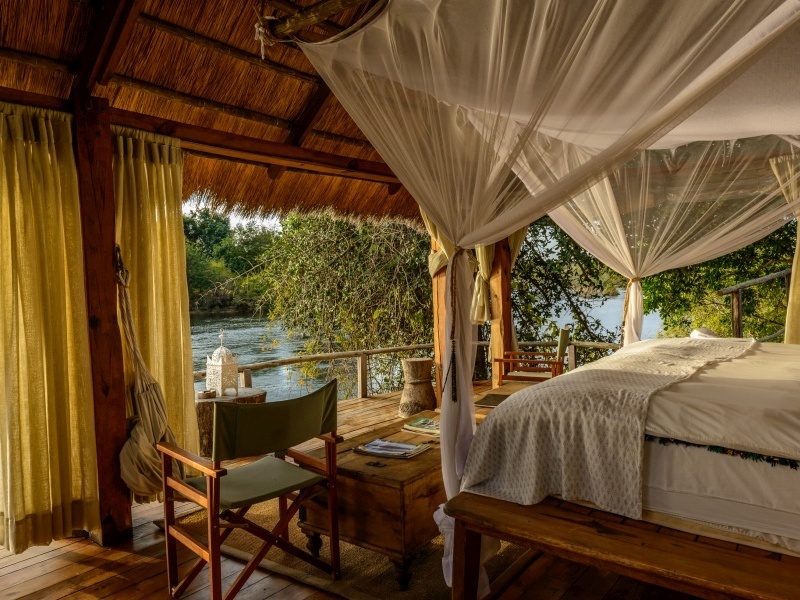 A scheduled flight to Livingstone in Zambia gets you to the banks of the Zambezi River – literally: your secluded chalet at Sindabezi is set on a private island with nothing less than Victoria Falls rumbling away a few miles downstream. A honeymoon favourite, the lodge has been designed as a serene retreat and offers massages and spa treatments as well as table-for-two dining. 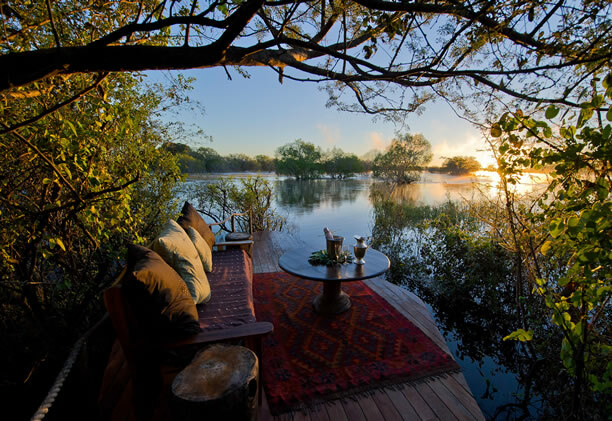 Staff will arrange any activities that you want to do in the area, whether it’s a white-water rafting trip or lazy sunset cruise. 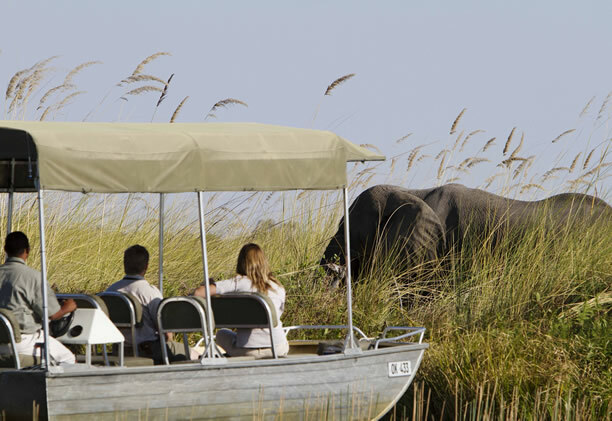 Road transfer & border crossing to Kasane Airport in Botswana & a shared charter flight to the Savute region of the Chobe National Park. Check in at Savute Safari Lodge for 2 nights on a full board basis. 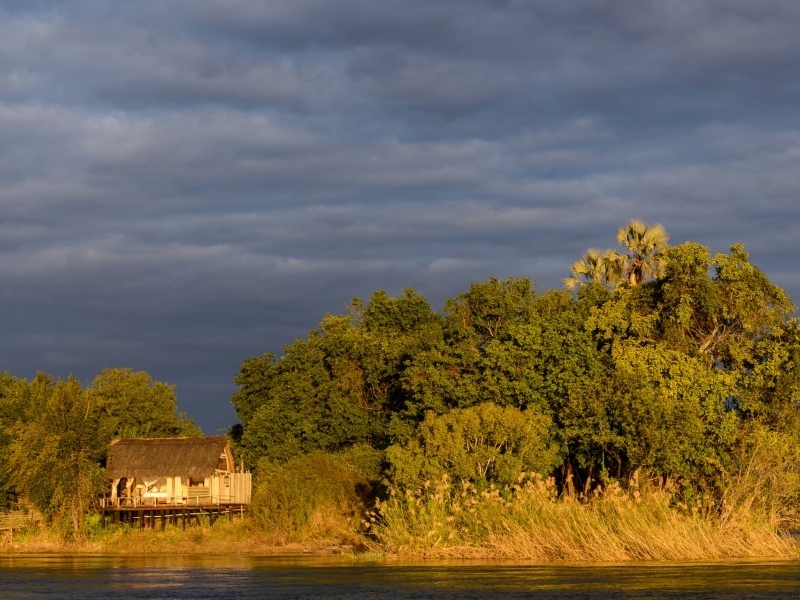 An overland transfer takes you Botswana and Kasane Airport where you’ll fly by shared charter to the Savute region of the Chobe National Park. 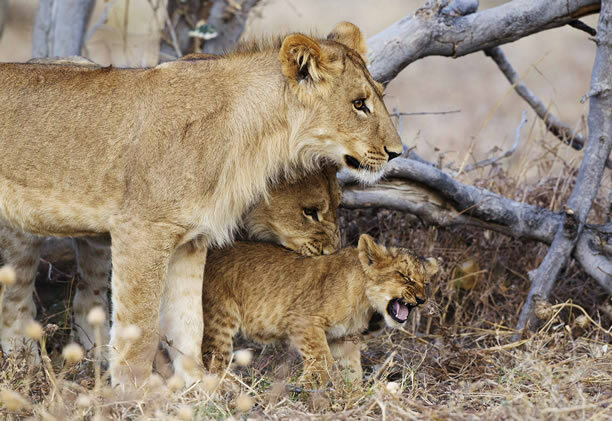 A place of lurking leopards and roving wild dog packs, Savute is most famous for its lions and hyenas which battle for dominance of the game-rich grasslands. It’s also home to Bushman rock art, excellent bird watching and a summer zebra migration. 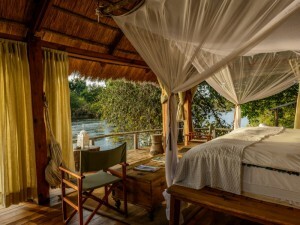 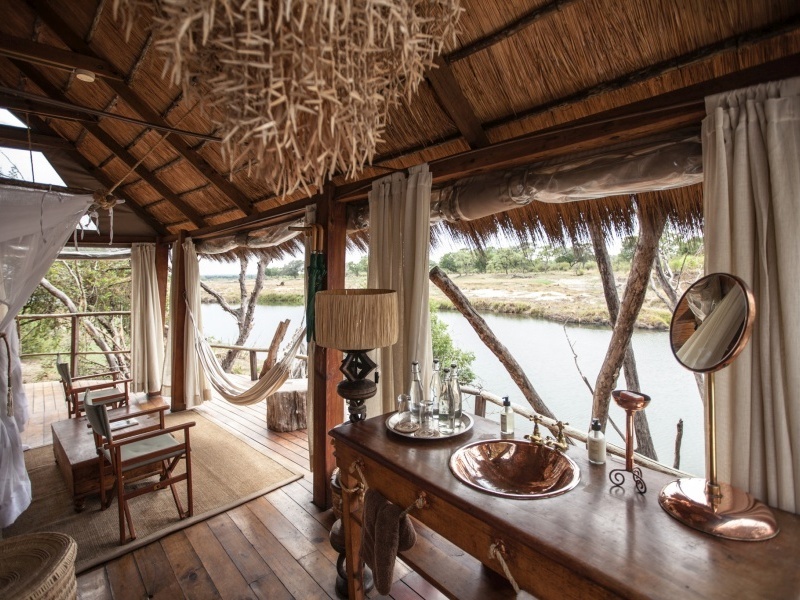 Your comfortable base is Savute Safari Lodge, its chalets set overlooking the flowing Savute Channel; sit back on your private viewing deck and see who comes down to drink. Shared charter flight to the Moremi Game Reserve for 3 nights at Xakanaxa Camp on a full board basis. 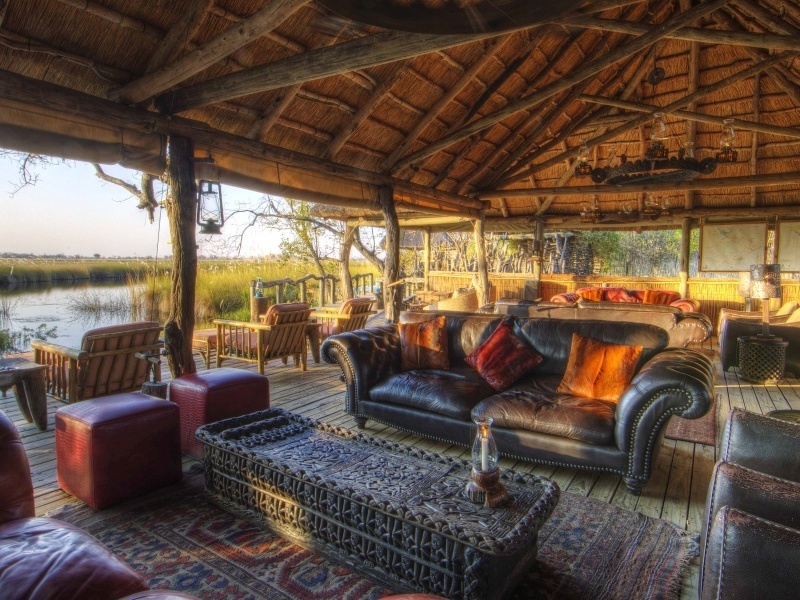 Flying south from Savute, you’ll soon notice the wetlands of the Okavango Delta below, gleaming away to the horizon. After landing at a bush airstrip in the Moremi Game Reserve, you’ll enjoy a short game drive on the way to Xakanaxa Camp, a friendly tented camp in a famously rewarding part of the reserve. 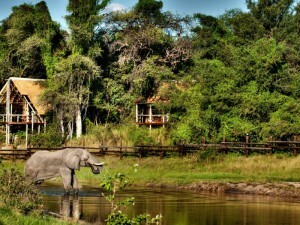 Elephants regularly pass through camp and antelope are often seen nibbling leaves outside your chalet. 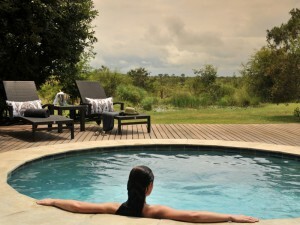 Overlooking a hippo-filled lagoon, the camp offers morning and afternoon game drives as well as boating excursions. 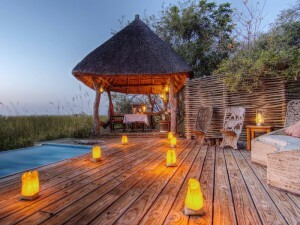 After sunset drinks you’ll sit down to candle-lit suppers and stories under the stars. Shared charter flight to Maun Airport & your onward connection. 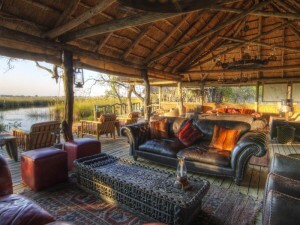 After breakfast at Xakanaxa you’ll fly by shared charter to Maun Airport where your safari ends. 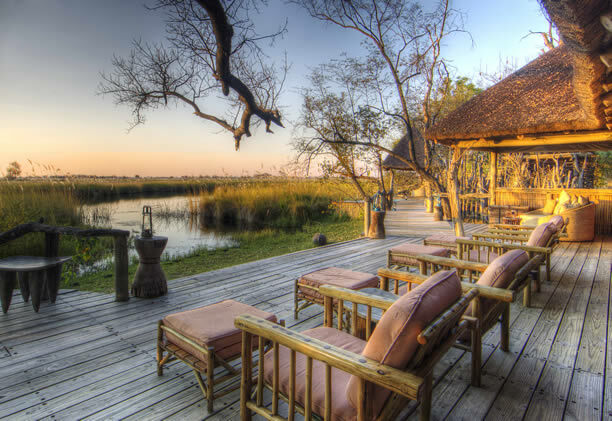 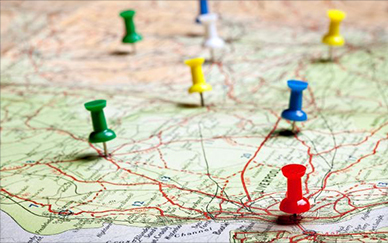 Flight from Cape Town to Nelspruit, Flight from Nelspruit to Livingstone, Shared Charter Flights in Botswana, Road Transfers as specified, Park fees, Airport taxes in Maun.